LONDON (Reuters) - A former British police chief constable accused of lying over his role in the 1989 Hillsborough football stadium crush that killed 96 fans will no longer face charges after a review of evidence, prosecutors said on Tuesday. Norman Bettison had been charged with four offences of misconduct in public office related to statements he made in the aftermath of the disaster and about the culpability of fans which prosecutors believed were untrue. The victims, all Liverpool supporters, died in an overcrowded, fenced-in enclosure at the Hillsborough stadium in Sheffield, northern England, during an FA Cup semi-final between Liverpool and Nottingham Forest. Police at first blamed the tragedy on drunken fans, an explanation that was always rejected by survivors, relatives of the victims and the wider Liverpool community. Families spent decades campaigning for justice for the 96. 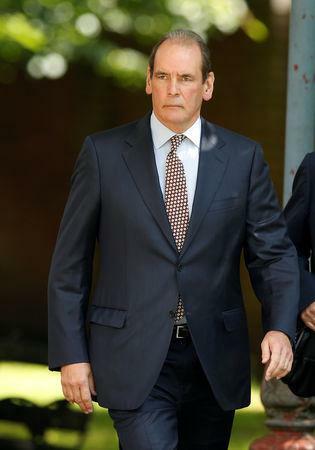 Prosecutors announced last year that they would bring criminal charges against six people including Bettison and other former police chiefs over the deaths and an alleged subsequent cover-up by police of their own mistakes. The Crown Prosecution Service said on Tuesday they had discontinued the case against Bettison however following a number of developments. "These include changes in the evidence of two witnesses and the death of a third witness," it said. As a result there was no longer a realistic prospect of conviction. "I appreciate this news will be disappointing for the families and the CPS will meet with them in person to explain the decision," it added. The families of those who died at Hillsborough said they were bitterly disappointed with the decision. Speaking outside court where the charges were dropped, Steve Kelly, whose brother Michael died in the disaster, said: "I'm absolutely devastated. I feel as if I've been beaten up this morning." The main campaign group said it would be exercising its right to an independent review. 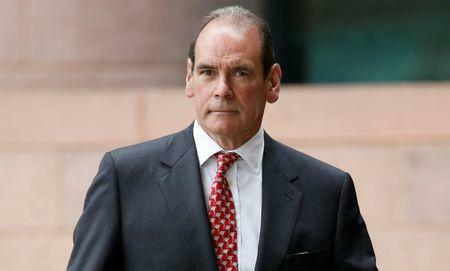 In a brief statement outside court, Bettison said his role around Hillsborough had been misrepresented. "I've been forced to deny strenuously that I have done anything wrong in the aftermath of the disaster and today's outcome vindicates that position," he said. Charges remain in place against other officers including former police chief superintendent David Duckenfield who was in charge of police operations at Hillsborough on the fateful day. He was charged with manslaughter by gross negligence.